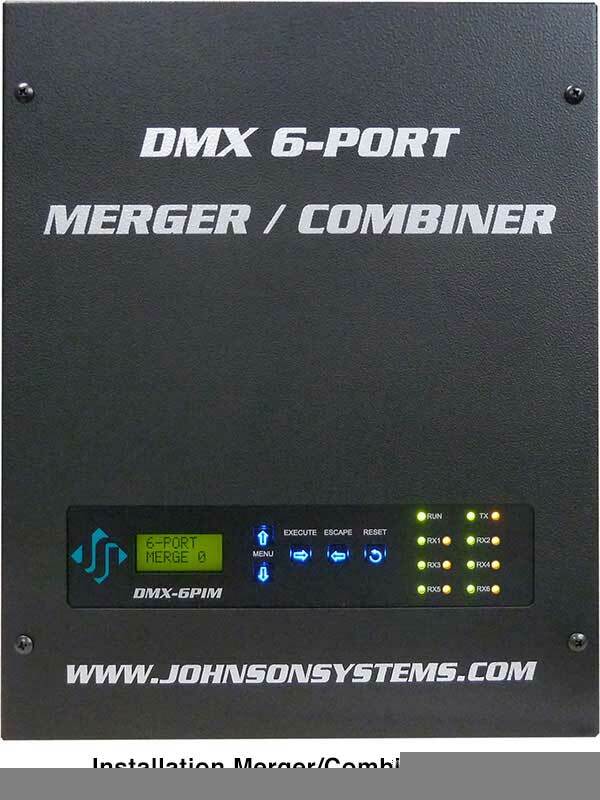 JSI's DMX 6-PORT MERGER combines up to six DMX512 data lines into one DMX512 universe. 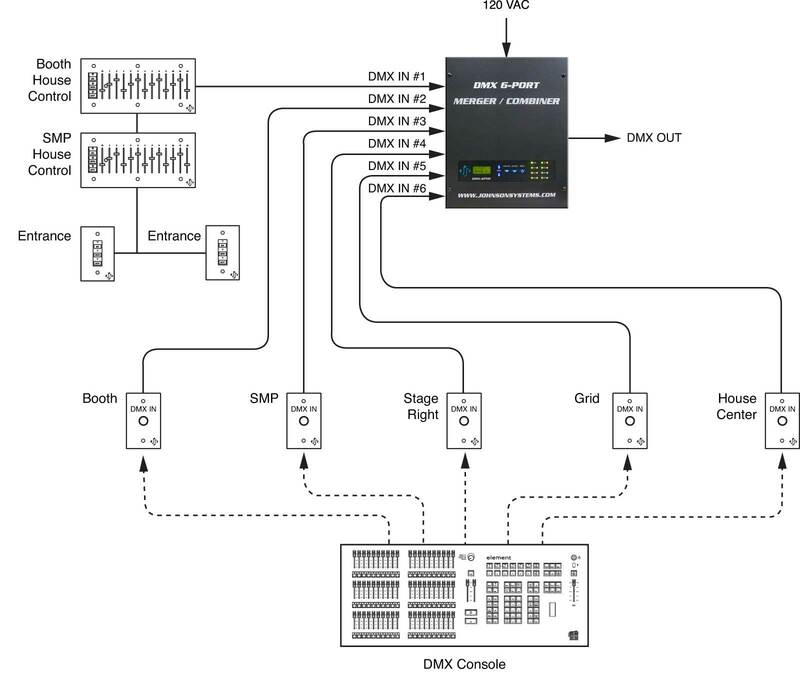 A cost-effective DMX input management solution for temporary and hardwired installations requiring multiple DMX sources or multiple opto-isolated DMX input locations. Model variants include compact portable, 19" rack mount and installation boxes for permanent installations. DMX I/O options include RJ45, terminal block and 5-Pin XLR connector. Input DMX data streams are combined in a "Highest Take Precedence" (HTP) or "Pile On". Multiple units can be cascaded together for larger installations. A USB "TECH PORT" interface (for use with a *PC) for ease of monitoring DMX output level data on all 512 channels at one time. Six DMX512 inputs, one DMX512 output. 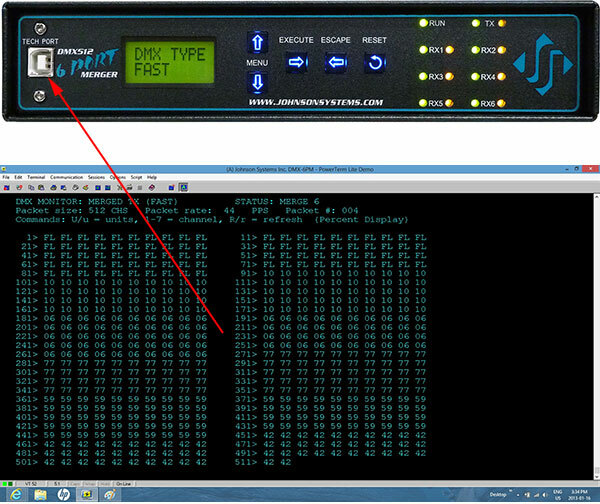 State-of-the-art design permits "real-time" DMX merging/combining of all six DMX inputs at 44 packets per second. 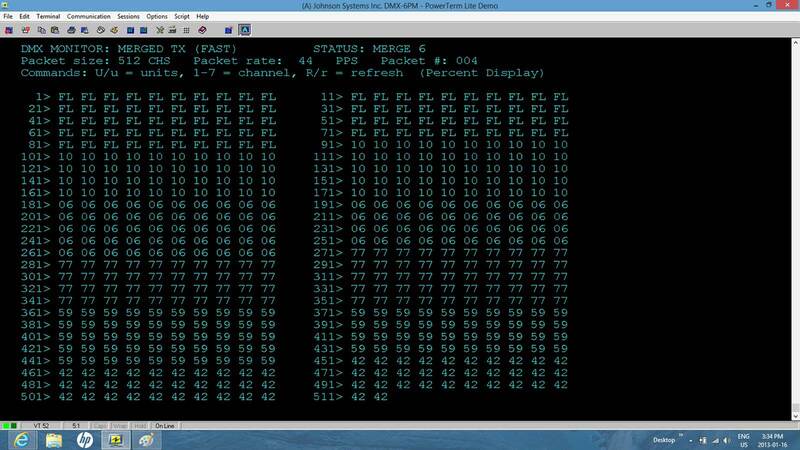 LCD display for easy setup and monitoring. Power and DMX status LED indicators. 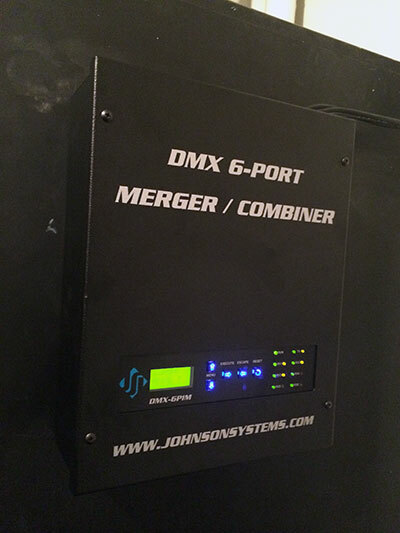 DMX I/O options include 5 pin XLR, terminal block, and RJ45. USB "TECH PORT" for *PC monitoring of all DMX inputs and output. Removable EEPROM memory module allows for ease of firmware upgrade. 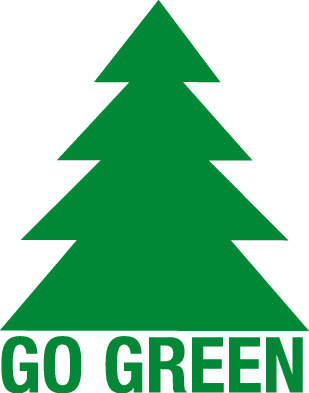 6-PORT MERGER "3D" Drawing. 3D PDF files are not supported by web browsers and require downloading and Adobat Acrobat for viewing. Installation MERGER "3D" Drawing. 3D PDF files are not supported by web browsers and require downloading and Adobat Acrobat for viewing.